Porsche AG may expand its growing lineup with a battery-powered vehicle to cater to demand for cleaner luxury vehicles and counter the rise of Tesla Motors Inc. The Volkswagen AG unit plans to roll out its seventh model line by 2020, but has yet to make a final decision on the car’s form. 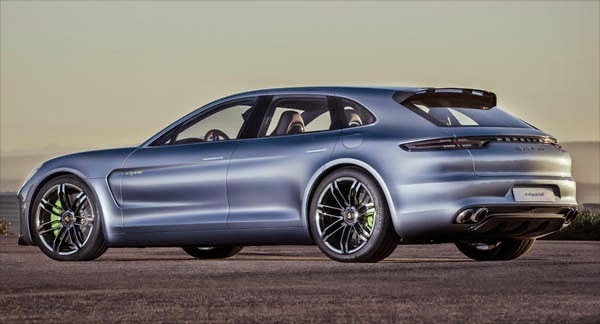 Porsche previously said it might expand the Panamera coupe line with a smaller version or a more spacious shooting brake variant. Porsche has also been considering a sports car between the 911, which costs $151,100 for the Turbo version, and the $845,000 918 Spyder hybrid supercar. The new sports car model would be designed to challenge autos made by Ferrari SpA. Porsche plans to sell more than 200,000 vehicles for the first time this year, driven by demand for the $49,900 Macan compact sport-utility vehicle it introduced in April 2014. The increase comes amid a rising tide for most luxury-car makers, with Porsche, its sister brands Audi and Bentley, Daimler AG’s Mercedes-Benz and BMW AG all reporting fresh sales records last year. Porsche’s deliveries rose 17 percent to 189,849 cars in 2014 and surged 34 percent in February to 14,836 cars. Demand for luxury autos is forecast to rise further this year thanks to growth in China and the U.S. The profit margin for the sports-car brand narrowed to 15.8 percent from 18 percent last year due to costs for adding the Macan to its lineup and revamping the best-selling Cayenne SUV. Even so, Porsche’s return on sales remained one of the highest among global automakers. Porsche also sells the Boxster roadster and the hard-top Cayman variant. Porsche will focus its development efforts on engines and handling rather than push for the latest advances in in-car Internet and automated driving. For an electric car, which would help the brand comply with tightening environmental regulations, Porsche is targeting a range of more 500 kilometres (310 miles) before needing to recharge, which shouldn’t take longer than a normal stop on a motorway, he said.